Power BI did very well last year and I’m sure it will do even better this year! 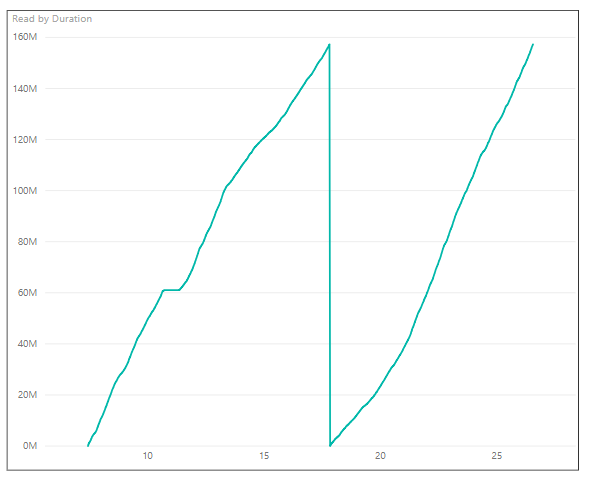 In my last post I mentioned the Power Query engine’s persistent cache, which in some scenarios caches the data read from a data source when a query is refreshed. Another important nugget of information that Ehren von Lehe of the Power Query dev team mentioned in a post on the Power Query MSDN forum recently is the fact that if you use File.Contents to get data from a file then the persistent cache is not used, but if you use Web.Contents to get data from the same file then the persistent cache is used. I guess the thinking here is that there is no point creating an on-disk cache containing the contents of a file that is already on disk. 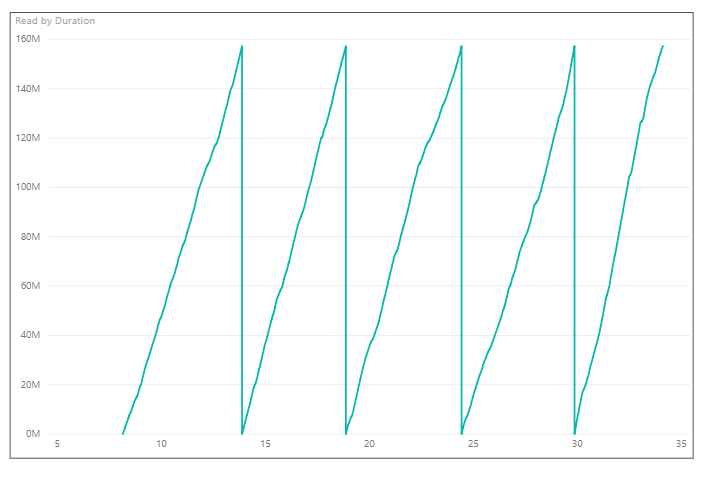 Since this query uses File.Contents to get the data from the csv file, the persistent cache is not used; as you can see, the graph shows clearly that the full contents of the csv file are read five times. I have no idea why the file is read twice rather than once, but it’s definitely different behaviour to the version that uses File.Contents. Which one is faster though? Just because a query reads data from disk more often does not necessarily mean that it will be slower. In the above scenario, with the csv file stored on my local hard drive, the Web.Contents version of the query refreshes in 18 seconds while the File.Contents version refreshes in 14 seconds. Replacing the csv file with an Excel file that contains the same data (remember that Excel files are a lot slower than csv files to read data from, as I showed here) results in the version of the query that uses File.Contents running in 205 seconds, while the version that uses Web.Contents running in 297 seconds. So it looks like, in most cases, File.Contents is the right choice when reading data from a file (as you would hope). However, when using the same csv file stored on a network file share, the Web.Contents version takes 23 seconds while the File.Contents version takes 25 seconds. So maybe if you are dealing with files that are stored remotely over a slow connection it might be worth replacing File.Contents with Web.Contents to see if you get any performance benefits. There may be other situations where Web.Contents is the faster choice too. If you test this and see a difference, let me know by leaving a comment!